Whether you are actively trying to get pregnant or just know it is a possibility, you want to be putting the right foods in to your body. What you eat matters, and can be very helpful in the potential outcome! It all starts with the first thing you eat in the morning of course. 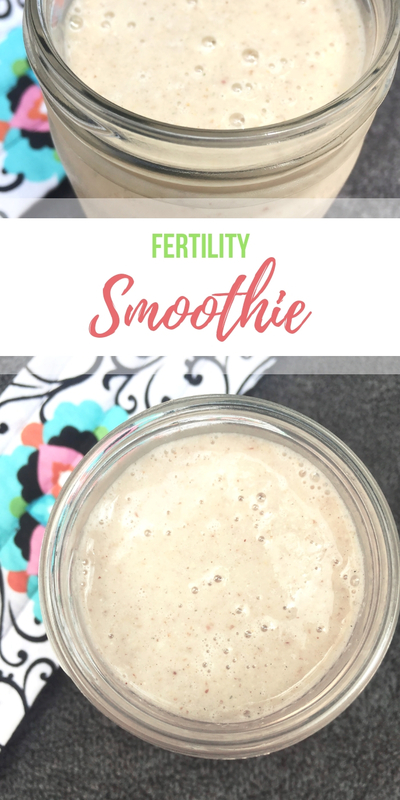 The key ingredients in this fertility smoothie are sweet potatoes, coconut cream, flax seed powder, blueberries, grapefruit and avocado – for good reason! It’s a perfect mix of healthy fat, protein, fruits, veggies and superfood! 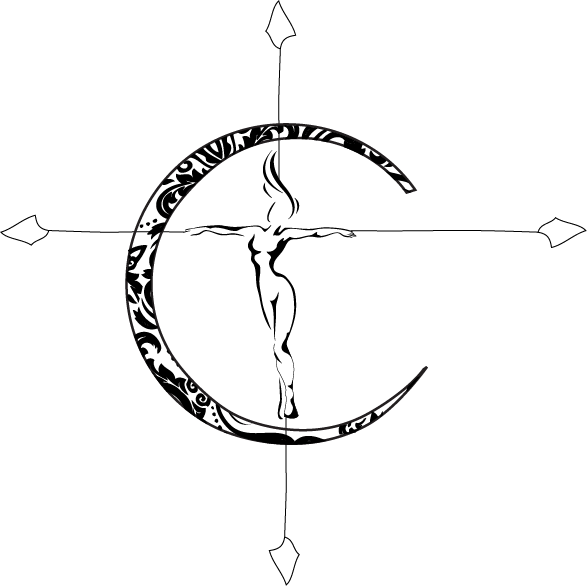 Each with it’s own valuable contributions to your fertility and sustaining a healthy pregnancy. First off, don’t be afraid of complex carbs before and during pregnancy! They help to stabilize your blood sugar levels, which is extremely useful. Sweet potatoes can help regulate your period because of the beta carotene in them, which is obviously very important to ovulation cycle when trying to conceive. The high amount of vitamin B from sweet potatoes can help improve hormone imbalance as well. 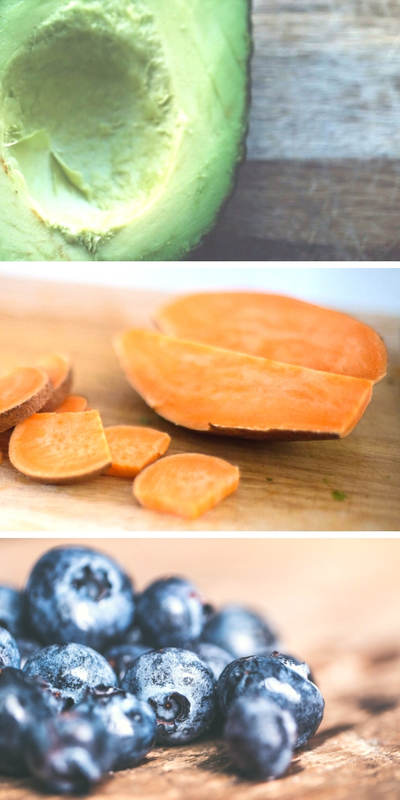 If you struggle with PCOS then definitely load up on sweet potatoes and any other foods with antioxidants because that helps to reduce the symptoms. On top of all this sweet potatoes contain potassium, calcium, iron and vitamin C- all essential during pregnancy! Second, healthy fat is good for you… and essential to pregnancy for a baby’s proper development. If your body has too low of a fat percentage you may have a difficult time conceiving. When I first became pregnant I was the leanest I had ever been and was warned that if I lost anymore body fat I might be at risk to the pregnancy that I so desperately wanted. Luckily, I became pregnant quickly but I did learn right away what my body needed and I stored up on avocados, nuts, greek yogurt and plenty of healthy fats during my first trimester because I needed them so much. This smoothie contains coconut cream in order to provide your body with those essential fatty acids. It is also iron rich so bye bye anemia! Did you know that coconut not only boosts the immune system but can also help to relieve unwanted symptoms like nausea, constipation, UTIs and heartburn? It also helps with circulation, which definitely matters when you are pregnant and have tons of extra blood pumping through your veins! Oh, and keep up with it during and after pregnancy because coconut can help increase breast milk production! 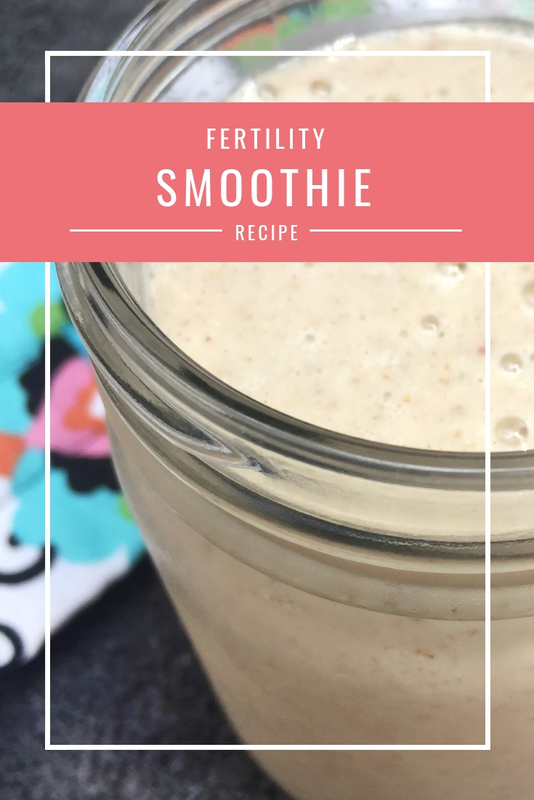 Flax is a superseed for a reason- its packed with a lot of the main nutrients your body needs for fertility. Most important is the vitamin E because your body must have that to carry a child. Flax seed powder gets in some mega protein for such a tiny seed! They are also high in B vitamins, zinc and magnesium plus oh so much fiber. The zinc matters because it helps promote proper development of sexual organs and can even help in preventing miscarriage. Since flax is loaded with omega-3s these little seeds can balance your hormones too. Anything that helps regulate your blood sugar at this time is something you want more of in your body as well- trust me. Did you know that the majority of the carbs in flax seeds is made up of fiber? Eat up! I put these in almost all of my daily smoothies or at least something else I am eating throughout the day (usually about 1-2 tablespoons)! Avocado is much like flax- full of healthy fats and protein! Plus, it’s avocado- so who doesn’t want to add it?? I especially like to throw one in to my blend because they make the smoothie creamier. Avocados are high in folate, which can improve chances of regular ovulation and is mandatory to include once pregnant. This is another veggie that is great for those who have PCOS too because of the high amount of vitamin E. It’s also full of potassium and another great source for an antioxidant. Plus, like I mentioned before, one of the most important nutrients to aid fertility is fat. Grapefruit in a smoothie? Absolutely! I have mentioned it before but vitamin C is in high demand when you are trying to conceive because it helps your body absorb all of those vitamins you are consuming. Grapefruit in particular can also help increase your body’s production of cervical mucus. This fruit can also lower the estrogen levels in your body, which is actually a good thing when trying to get pregnant because you need higher levels of progesterone to maintain the start of a new life. Lastly, all those tiny little blueberries are full of antioxidants and can help boost your fertility. They can detoxify your body to put it in an optimal state. Blueberries also have properties to help lower your blood pressure, something a lot of women struggle with during pregnancy so best to regulate it prior! They can also protect your cells from damage- including your reproductive cells! All in all, blueberries are berry good for you! Each ingredient is good for baby and helps promote ovulation so your body can be where it needs to be to conceive. Drink up ladies! 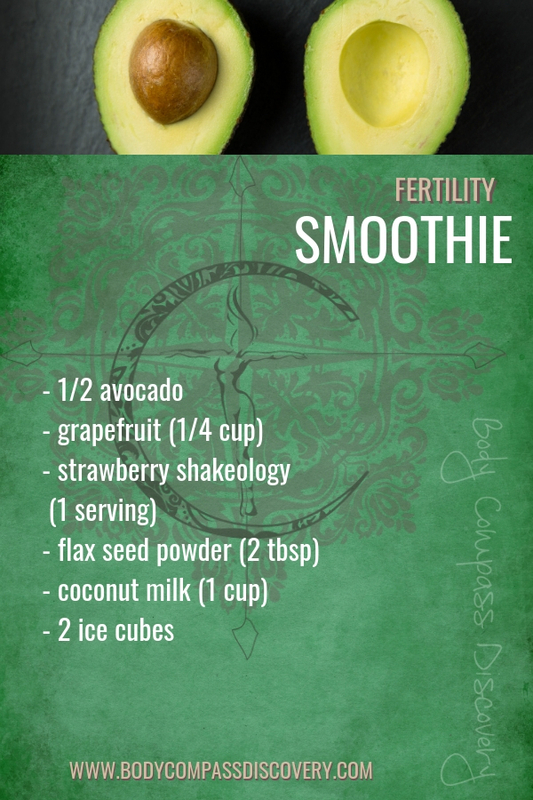 This is one powerful smoothie! To learn about more beneficial consumption that can boost your fertility check out my post on fertility foods!